As part of their Vocational Educational Training project in Malta, two vocational trainees created a How To guide “Low Season Bird Keeper”. This project is part of Moving Feet Opening Minds, supported by the Mediterraneo Marine Park Malta and funded by the Erasmus+ programme of the European Union. This project guide has been created by Clare Barker and Jessica Watson. 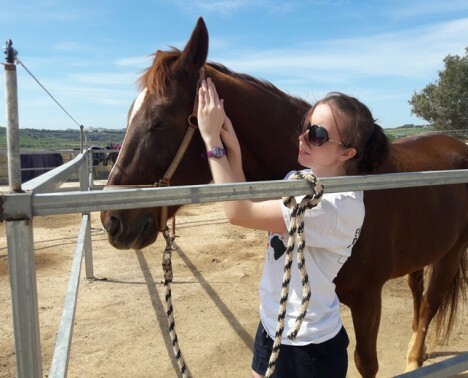 As part of her Vocational Educational Training project in Malta, Sophie Young created a guide explaining “How to care for a horse”. 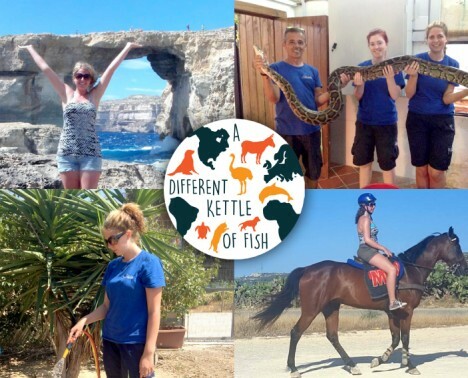 This project is part of A Different Kettle of Fish, supported by Tomasina Sanctuary and funded by the Erasmus+ programme of the European Union. Hey my name is Sarah Marshall and I’m 17 and live in Ripon. 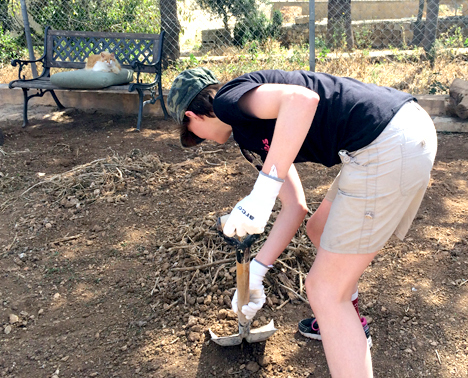 I am a student at Evolve and I wanted to go to the cat sanctuary in Malta because I wanted to see life somewhere different to where I live. I fed and cleaned out the cats cages and helped to give the sick cats their medication and helped to keep the sanctuary clean. I learnt a lot about cats and the illnesses they can get and how to prevent some of them and how important it is to keep the sanctuary clean. I also learned how to cook meals and I found out about Maltas culture. In our free time we visited the sights in Malta with the group and went on the ferry to Gozo. We also visited the Wildlife Park. My name is Bradley Williamson. 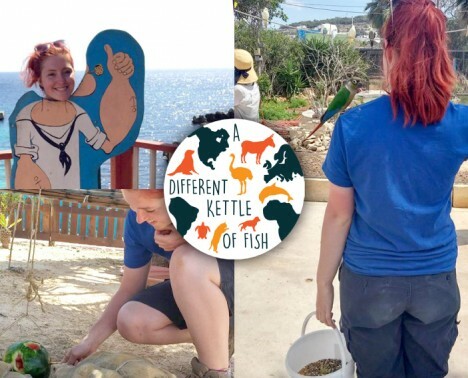 During my project in Malta, I took part in activities at a marine park cleaning and feeding reptiles and parrots and taking part in the animal presentations and photos after the presentation. In our free time we have kept very busy not to waste a moment of this experience we have filled our time with bus tours, snorkelling, scuba diving, shopping, museum visits and boat trips. During the project I learnt many things about the animals I was caring for and what actually goes on behind the scenes in zoos and marine parks as well as the day to day care of these animals. Personally I learnt that a job in the animal sector is certainly for me and I intend to continue my career in this sector. 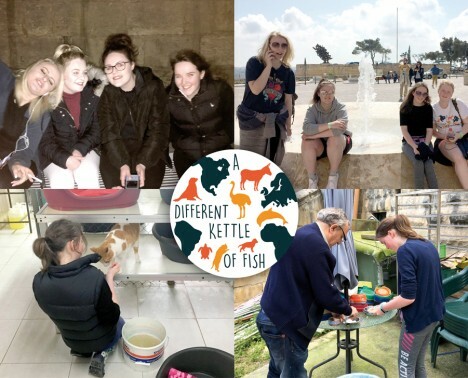 Project part of A Different Kettle of Fish supported by the Erasmus+ programme of the European Union, in partnership with Askham Bryan College and Aruba Donkey Sanctuary. Hi, my name is Aimee Kershaw. I am 21 years old from Wakefield. I went on a project in Malta. 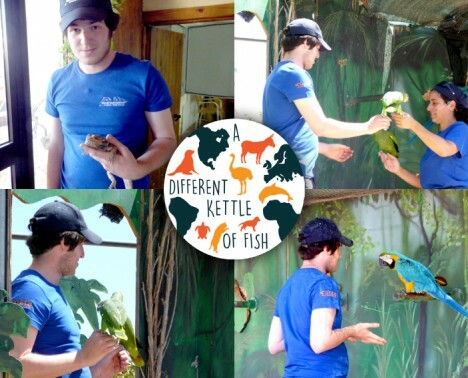 During my project, on a day to day basis, the activities were very hands on with the animals, including cleaning, handling and feeding the birds and reptiles and assisting with the animal presentations. Most of my free time included travelling and exploring various places, including Gozo and paradise bay which are perfect places for snorkelling. 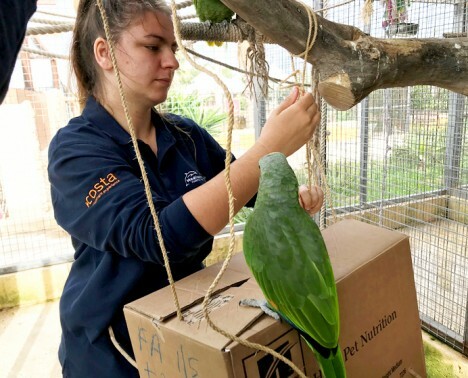 I have gained various practical animal handling skills with a range of birds and reptiles, whilst improving my species specific knowledge on the animal’s diet and housing requirements. Through communicating to the public about the park and its animals, whilst participating in the aviary feeding, parrot and reptile presentation I also improved my confidence with public speaking. My name is Chantelle Hanwell. The project in Malta is incredible; The duration is spilt into two months, the first spent with reptiles, the second with the birds. The usual tasks are undergone each day such as feeding, cleaning, monitoring and educational presentations. During my free time, my favourite place to visit was San Anton Gardens, the gardens were full of wildlife and plants, a beautiful relaxing place. Thanks to Erasmus+, professionally I learned a wide range of skills from weighing the macaws and amazons to hand rearing monk parrots. I learned an incredible amount which will be beneficial for the working industry. Beforehand I was nervous and unconfident with snakes, the project has helped me overcome that fear and I am now comfortable with the reptile. 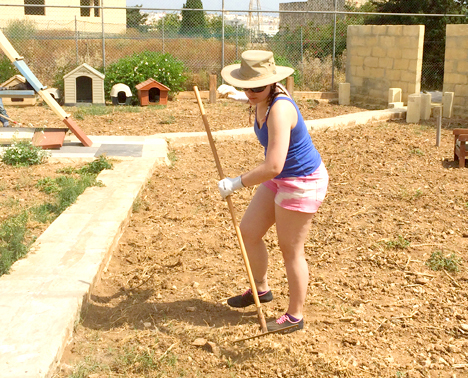 Discover Emily’s VET (vocational education and training) project working with animals in Malta (Erasmus+). Project supported by the Erasmus+ programme of the European Union, in partnership with kirklees college and Aruba Donkey Sanctuary. 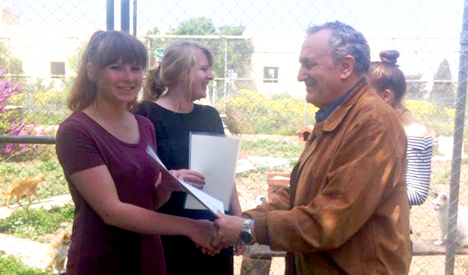 Discover Bethany’s VET (vocational education and training) project working with animals in Malta (Erasmus+). Project supported by the Erasmus+ programme of the European Union, in partnership with Askham Bryan College and Aruba Donkey Sanctuary. Discover India’s VET (vocational education and training) project working with animals in Malta (Erasmus+). 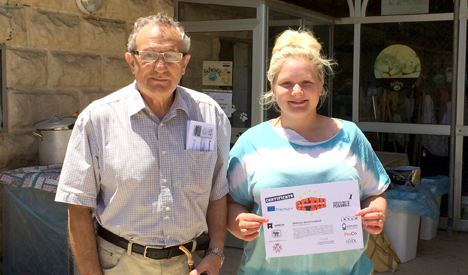 Discover Ashleigh’s VET (vocational education and training) project working with animals in Malta (Erasmus+).